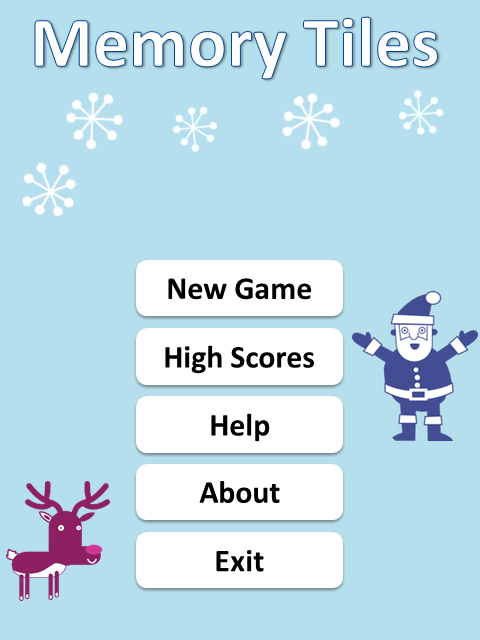 Summary: Memory Tiles is a picture matching game. .NET Compact Framework 3.5 and Screen resolution: 240x320, 240x400, 480x640, 480x800 or higher. 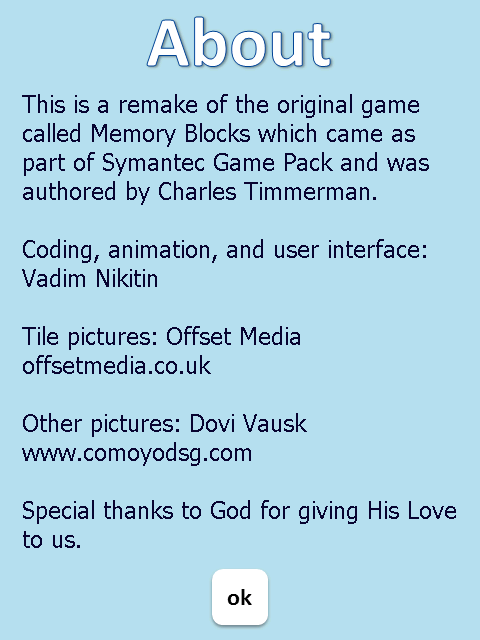 This game is a remake of the original game called Memory Blocks which came as part of Symantec Game Pack and was authored by Charles Timmerman. Match tiles with the same picture in order to win. Train your memory. very good but there is room for improvement. i think its a bit out of season but its not too boring. i hate that its timed though. For those that says not working, Install Microsoft .net CF 3.5! Not working on HTC HD mini resolution (480x320 HVGA). Such a pity!